Email that touched me. .
My plan was to make the blog private due to some personal reasons. I didn’t feel many readers would mind as the comments on the blog have been quiet in recent posts. I was quite shocked at how many private emails I received requesting it to remain open as it has helped with ideas for kids, resources etc. I think most of you readers are lurkers! ! I apologise if I haven’t responded to you privately. There was one email that I received from a sister who doesn’t comment but has been following the blog for many years. It touched me, made me fill up with tears and made me rethink my decision to go private. So inshaAllah it is public again and to the sister that sent me that email. .. Jzk for having a profound impact on me and causing me to reflect on what I do and what’s important to me. So update from us. .
We’ve had in laws over from Algeria staying with us over the last few weeks. As the children hardly ever get to see my husband’s side of the family every year due to them living abroad, it has been nice for them. But it’s also meant that pretty much everything has gone out of the window! I find it quite frustrating as R’s Quran schedule is badly affected. She feels it too! We have started to get back to some sort of normality since they left. Aside from lots of play, the kids have visited practically every museum in London due to taking the in laws. I found some cheap sets of magnetix on gum tree to add to the boys collection. They take that out 5x + per day. 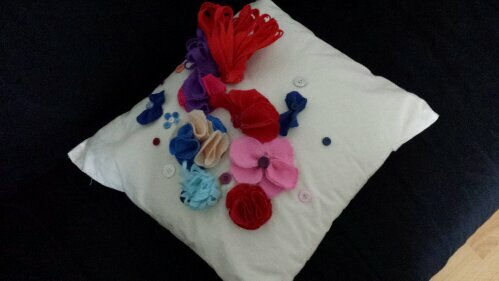 R attended a local textiles class and made the cushion in the picture above. She used the sewing machine and glue gun. Quite a nice pretty result mashaAllah. The sister who teaches the class is very creative mashaAllah and it was very kind of her to set up a class just for home educated girls during her break from being a teacher. 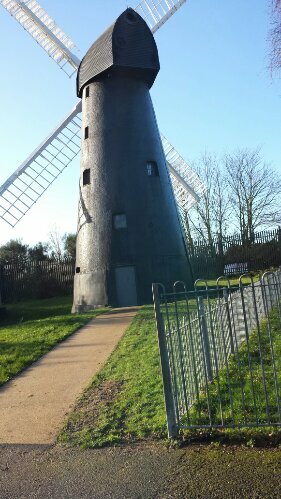 We also attended a trip visiting the Brixton windmill which R particularly enjoyed. It came at the right time as we had just finished a project on wind. This windmill is one of the only ones in inner London and is 10 mins from where we live. .. Didn’t know it existed! Zuzu is as creative as ever. 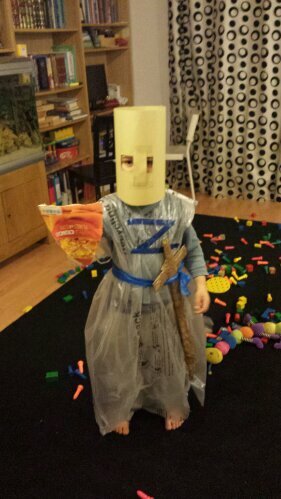 Here he has made a Knight costume and wouldn’t take it off for ages! ! Amazing what he can make with bags, paper, tape and a cereal box! Finally, a sister shared this excellent article with me. I definitely recommend reading it. ..
As I write this, R has gone on a trip with her father to the Birds of Prey Centre. It took them about 2. 5hours to get there and inshaAllah they’re enjoying it. There was a special groupon discount which I snapped up for my husband as he loves wildlife. And he decided to take R with him. So, its just the boys and baby with me today and I’m in a mode of reflection..
Another home ed year (formall home ed year that is!) is moving towards its end. I really don’t know where time is flying. R is going to be 9 Islamically in Ramadhan, Z is 5, Y is 3 and baby S is going to be 7 months old in a few days inshaAllah. It feels like only yesterday I was waddling around like a duck – ready to pop! This year has been quite busy – the pregnancy and birth of baby S and then almost 2 months in Algeria for the kids. We haven’t got as much formal work done this year but there have been lots of experiences and other ways of learning which are, in my opinion, more enriching than written work. R: It takes up a lot of time in the day. I have devised a system where we split up all her Qu’ran into about 4 sessions. There has been a lot of trial and error recently with regards to murajaah but alhamdulillah I think we’ve found a system that seems to be working masha’Allah. The aim was for her to complete her hifdh by age 10. We’ll see how that goes…please make dua! For next year, we’re going to increase her daily hifdh portion again inshaAllah so need to reduce some other stuff. Z: We started Z on his hifdh and mashaAllah he is up to Surah Humazah. He does hifdh and murajaah daily. Plan is to continue this from Sept but try to increase his daily hifdh amount. Y: We do very light hifdh with him. He has memorised a few of the small surahs and some of his duas. R: She continues to speak with her father in Arabic but it is now mixed with the Algerian Derja. She can differentiate between the two. She watches a lot of Arabic cartoons. I have downloaded a huge collection of Arabic story books for her which she reads – need to try to make this more of a daily thing. We have just returned to Studio Arabiya. R got bored with it last time as the work was far too easy and she wasn’t being challenged. She now has a teacher that deals with the intermediate/advanced students who already know how to speak Arabic and she is finding the lessons more enjoyable. Z: Z is learning his Arabic letters and sounds. We hope to have this finished so he can move onto the Qaida within the next month or so insha’Allah. Y: Y is also learning his Arabic letters but much more slowly. He does the same Arabic letters activities as Z but at a slower pace. R: It has been a mixed bag for English this year. Haven’t stuck to one set curricula. Instead chose bits and pieces from different resources. This seems to have worked better for R. She really doesn’t like to stick to one set textbook for English and rather studies English through topic work. I think I’ll be carrying this on insha’Allah. Am making a list of resources to use and topics to cover from September inshaAllah. Z: The focus has been reading for Z. It is as though a lightbulb has been switched on for Z mashaAllah. He is finally understanding a lot and just generally is a much more pleasant child mashaAllah. There was a time where I found it difficult to bond with him as he was so challenging but we are so much closer now as mother and son and I love him to bits mashaAllah. Back to reading – he’s progressing well. Using a variety of resources. My aim is to get him reading comfortably and fluently insha’Allah. He’ll be using reading eggs and some other resources that I have. 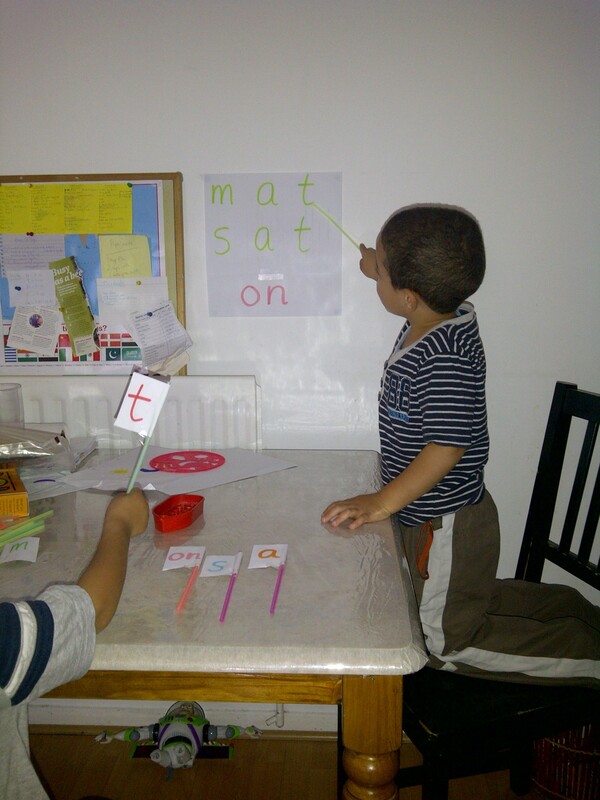 Y: Y has learnt a lot of his letters and phonics informally. I’ve noticed he has a good memory mashaAllah and just seems to remember a lot without any formal teaching. He has asked me to teach him how to write and so I’m going to work with him on that insha’Allah. He also has his own reading eggs account. Wouldn’t have been able to afford this had it not been for a fantastic deal created by a sister. Basically got reading eggs and mathketics for each child for about £5 for the year mashaAllah. Bargain alhamdulillah. R: We did some MEP this year. Not as much as I wanted but I have looked at what R would cover in school for math at her age and I am comfortable that despite not doing as much math as I wanted her to do, she’s pretty much covered what she would need to know through the little she has done mashaAllah. Just goes to show that a home ed child doesn’t need to do nearly as much as schooled children and can still learn the same subjects. Decided to choose a different math program for this year. Have enroled her onto mathletics – so will see how this goes. Any recommendations for year 4?? Z: Feel as though Z struggles in this area. Going to try to do montessori math with him for next year insha’Allah. Y: Y is really good at math mashaAllah! He has really surprised me. He knows and understands a lot about numbers and counting and shapes etc. And he really enjoys it. Going to try and see where this goes inshaAllah. Islamic Studies: It has been through reading, discussion and practical application. I feel I need to step up in this area with R especially as she’ll be approaching the golden age of 10 when some things will become fard for her. Science: Am also considering a curricula this year. Any recommendations? History: R loooooooves history and has probably read most if not all of the Horrible History books. I have just subscribed her to the All About History magazines for kids. I’d love to teach her more history but with everything else and hifdh taking up most of the time, she’ll just have to do with reading about history at the moment. Art: R still loves to knit. And yesterday at a carboot sale we bought some balls of wool. She’s going to start a new project insha’Allah. She doesn’t get to do much other art apart from some activity sets we have at home. I’m not very artistic and so I hope I am not depriving her of this just because I don’t like it very much! Z: Z loves to paint – need to do more of this next year. Y: Y is surpisingly really good at drawing mashaAllah especially for his age. Again, he keeps on surprising me. But as child no3 I just don’t have the time I wish I had to really develop the areas he seems talented in. Need to think of ways in which I can have more one on one time with him. Maybe it will improve once baby S gets a bit bigger. R: R did archery, horse riding, kickboxing, bmxing and swimming this year. She no longer does archery. And she no longer attends swimming lessons as I feel at almost 9 years old, it was time to stop her going to public swimming lessons. Instead, I am going to take her swimming weekly inshaAllah. The swimming lessons served their purpose – she now knows how to swim – so they were definitely worth it alhamdulillah. Z: Z is very good at sports mashaAllah. He can swim the whole width on his back and most of the width on his front mashaAllah. He recently moved up from Aqua Tots 2, skipped stage 1 and is currently in stage 2. He’s like a fish in the water masha’Allah. He also does kickboxing but missed loads of lessons whilst in Algeria so couldn’t go fir grading this year. He also does football which he absolutely loves. I was really hoping to find a great football club and found one that really is just excellent mashaAllah. Z has also learnt how to ride his bike without stabilisers. He still needs a push off at the beginning but then pedals a lot on his own. Aim is to improve so he can join the other kids on the bmx ramps at the bmxing classes. Y: Y goes to football classes too. He loves it more than Z! Hoping to enrol him for swimming aqua tots2 from September inshaAllah. R: R also goes to cubs (scouts) which she just loves! They are taking te girls camping after Ramadan inshaAllah. They learn so much and do so many different activities. Quite a few friends go there and she’s developed some nice friendships mashaAllah. 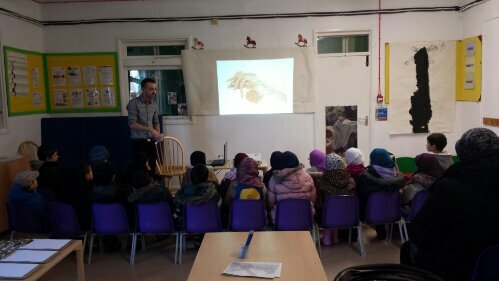 I’ve also heard of a practical skills club for girls for 4 hours on a Saturday – they do Qu’ran and Arabic which I won’t be putting her in for but the other subjects are Islamic Studies and lots of practical stuff like cooking a meal, first aid, table laying, sewing projects, etc etc. But it is quite expensive so am not sure. Z: Hoping Z will join beavers after March inshaAllah. R spends free time (although not much of it) reading – she is allowed to read in her bed from bedtime til maghrib time when she prays maghrib and esha together. She loves baking and its great for me as I have a very sweet tooth. She loves the Thursday home ed group and meeting with her friends especially two of them who she meets on Skype now and again. She enjoys playing board games and watching documentaries. Z and Y: Z is obsessed with a game on the ipad called Temple Run. He’s very good at it. And its a good incentive to get his work done WELL. If he does this, then he is allowed to play on it. He loves going on his scooter and running free in the park lol! Z is also obsessed with cutting and sticking. I find paper everywhere. This year I’m going to use a lot of cutting and sticking resources to teach him his formal work as he really understands a lot through cutting and pasting! Y likes playing with action figures and string! The things he does with a piece of string is quite amazing lol! He has created parachutes with paper and string for his action figures. He’s quite creative. He loves talking and loves me reading to him. He is a computer pro lol mashaAllah and knows how to use the computer without any help. He likes playing computer games. Give him a sharpened (has to be sharpened) pencil and paper and he’s off drawing lots of different things! And that’s about it. I hope Allah gives me enough energy and patience to continue through next year. Home ed is hard work and what gives is the mother lol! But I guess certain sacrifices need to be made. May Allah make it easy for us all. Ameen. As you know from my last post, have decided to teach English through topic based work which is something R loves. To make sure I am covering everything I feel she needs to cover this year, I looked through a few English books and made a list of different areas to be covered when studying English. The list was quite long but as I was making it, I realised that there are definitely more fun ways to learn these things than simply sitting in front of a textbook. R doesn’t feel she’s missing out on fun topic work now and I can see that doing English this way is just as good – if not better. For example, recently she composed a letter to my father who has reccently got back in touch with us after so many years of not wanting to know me! She wrote her first draft, corrected spellings and then rewrote it in her best handwriting. Different elements of English there alhamdulillah. Yesterday, she did some dictionary work based on vocabulary linked to the Explorers topic and made the mini books to insert the definitions into – so a lot more fun then simply answering a dictionary question in a text book! Today, she’s making a mini book writing about the reasons for exploration. I’m really happy I’m going down this route insha’Allah. And she no longer feels that there is no time for topic work. 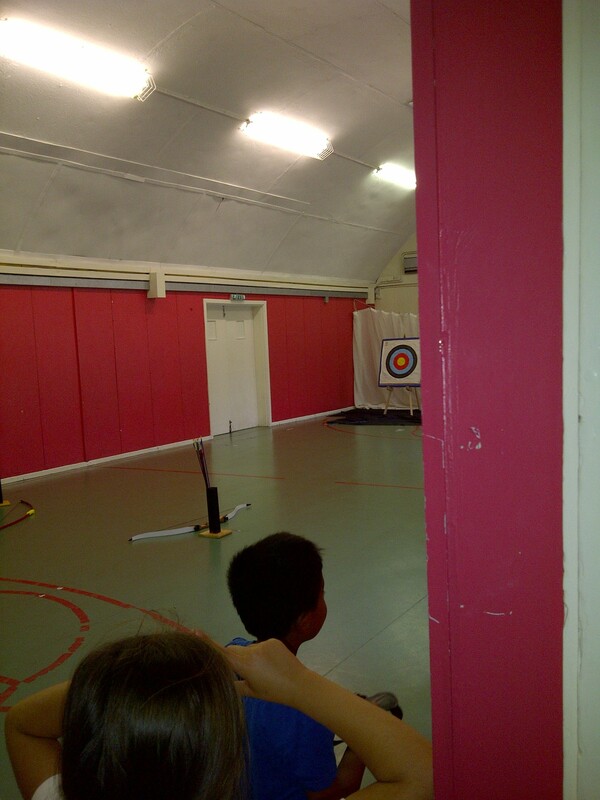 an Archery lesson where R discovered she’s left handed for archery! Return back to her kickboxing class and discussion on what topic she’d like to learn about. 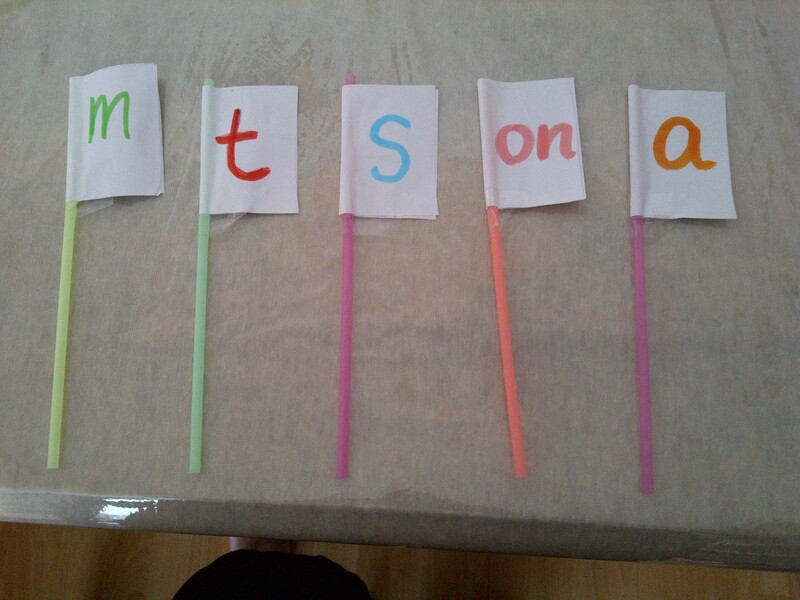 Started off by making flags (straws and scrap paper) with the boys. I began to write down the phonics I wanted them to learn and Z wanted another plain one. 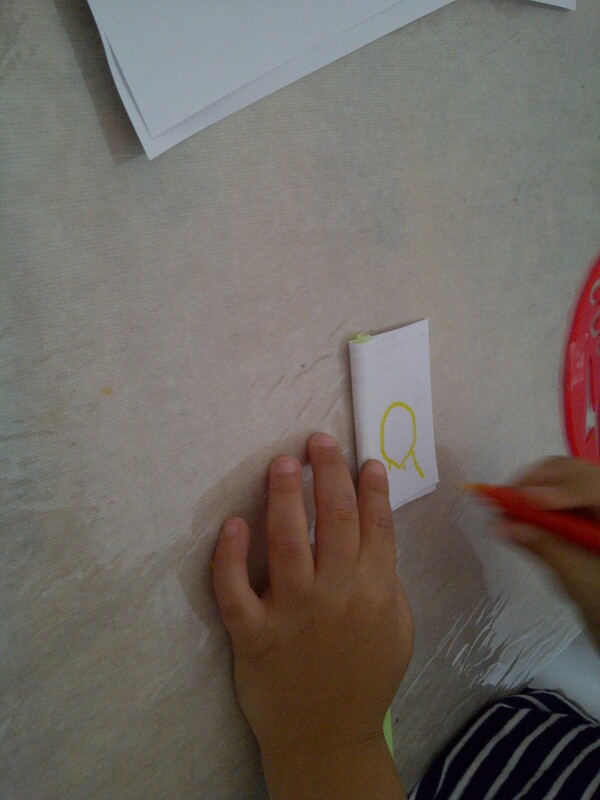 He said ‘Ummi, I’m going to draw apple’. I expected him to draw an apple but instead he wrote the letter ‘a’ all on his own. I was so pleased that he remembered how to write it even though we’ve hardly done any writing and that he linked it to the word ‘apple’. I’m going along with the pattern used in the Bob books which I used to teach R (seems like an eternity ago!) Wrote the letters on both sides. I then wrote out the letters on paper and stuck it to the wall (see next pic). Boys took turns holding up the correct flag as I pointed to the letter. Changed it a little with Z and asked him to tell me the sound – masha’Allah was surprised he remembered and got them all right! 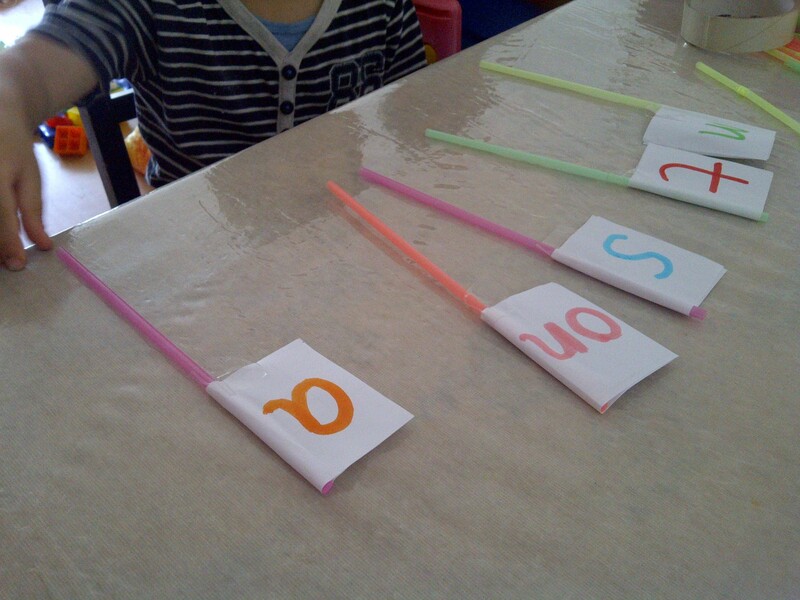 Then let the boys be the ‘teacher’ and they took turns pointing out to the letters and the other one had to hold up the flag and say the sounds. This time Y got it and said a few sounds correctly! They had a lot of fun! R wanted to start off with a history topic. She initially thought about studying about the Romans but then wasn’t sure so I had a look at the resources we have at home as well as some files saved on the computer and made a few suggestions to her. 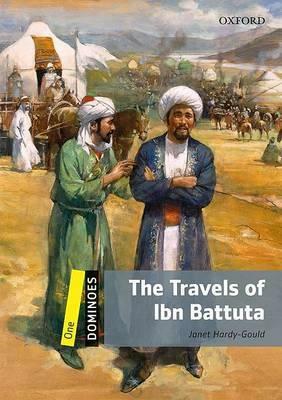 In the end, she decided to learn about Explorers and Ibn Batutta. * What were some of the dangers that early explorers faced, both real and imagined? *If somebody from the 1400s were to time travel to the present, what differences would he or she find? *What types of explorers are alive today? List their occupations and names. *What are some of the reasons that someone would become an explorer? What qualities would this person have to possess? I can see how important it is to instill creative and critical thinking skills – otherwise whats the point, they might as well go to school! Today, its been hifdh, Arabic, trip to the library with the boys where I spent ages reading to them – nice change reading to them in the library. 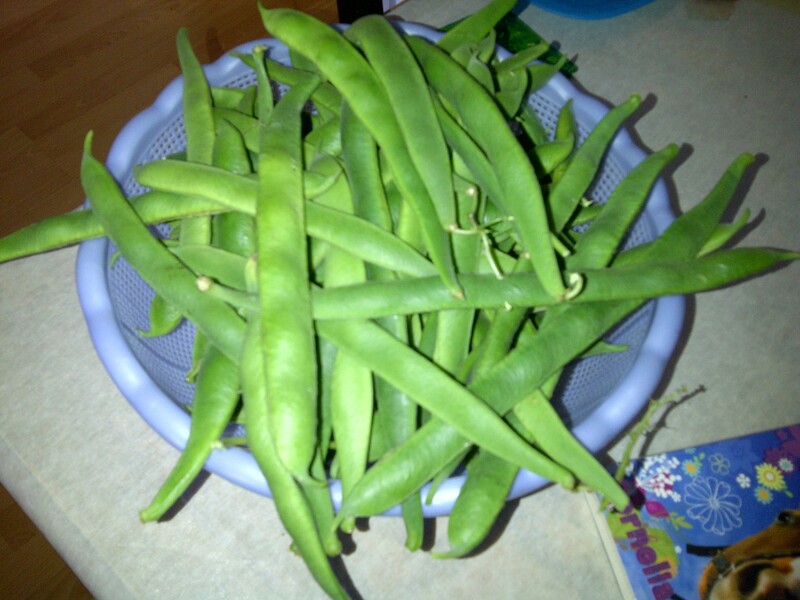 We then all picked the green beans from our garden – its the only vegetable we’ve grown this year but there’s loads of it masha’Allah. Then looked at our compost which we’re trying to grow and guess what – all the fruit peels, vegetable ends have actually grown into soil! Here’s R showing me the homegrown soil masha’Allah! Its taken at least a year. I really believe its one thing learning about something via a book but actually doing it first hand is something else! R is doing some quran revision whilst I’m finishing this off and then off to a swimming class and then back to some of her topic. I’m going to start the boys off on a lapbook I know they’ll love insha’Allah. Am absolutely exhausted but seeing them enjoying learning without the confines of school is definitely worth it alhamdulillah! Not as much planning as I’ve done before. But feel ready to start properly again in a couple of days insha’Allah. Thought I’d share what academic planning I’ve kind of decided for the children insha’Allah. Quran – she has started her new hifdh program with the goal to complete her hifdh in 2 years time inshaAllah. A lot of the time in the week is being devoted to this inshaAllah. Arabic – Carrying on with the Madinah Arabic books for children, plus a new program called ‘Understand The Quran – children’s course’. Am hoping this will aid her in her hifdh. Masha’Allah she can understand some ayat here and there and sometimes translates to me but I would really like her to really understand the Qur’an a lot more. We’re taking a break from Studio Arabiya for now but may return to it later on insha’Allah. Islamic Studies – very much a part of life – lots of practical elements, discussion and application. I feel this is the best way to learn the deen. As she’s growing, I want to focus a lot on taharah insha’Allah. English – Galore Park, new Spelling book series, First Language Lessons for grammar and handwriting. Really want to push her in her creative writing so got a few resources for that plus insha’Allah my two years of Creative Writing components for my degree will hopefully come in handy. Everything else will be as and when she wants to do it. Lots and lots of fun preschool unit studies based on what they enjoy/interested in. Maybe I’m overdoing it on the activities front but I’m trying to squeeze in as much as possible between now and when baby is born insha’Allah as I have a feeling no.4 is not going to be easy from what I’ve heard from others – so might be out of action for a while! That’s about it – oh and all subject to change depending on where this year takes us! Can’t believe I said that – so different to how I first started as a home edder! Why is a sandwich called a sandwich? R asked me this question at dinner time today. So, courtesy of google.com (!) we found out why. I knew this from primary school but wanted her to find out herself. A bit of informal geography as R located the Hawaiian islands previously known as the Sandwich islands on the world map. Also, a bit of informal Islamic studies as we discussed why gambling is haram. 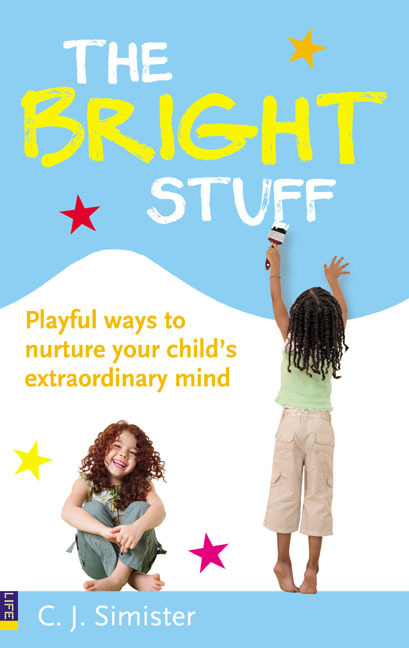 Looks like a good site for other ‘Why’ questions – Z’s favourite word at the moment!